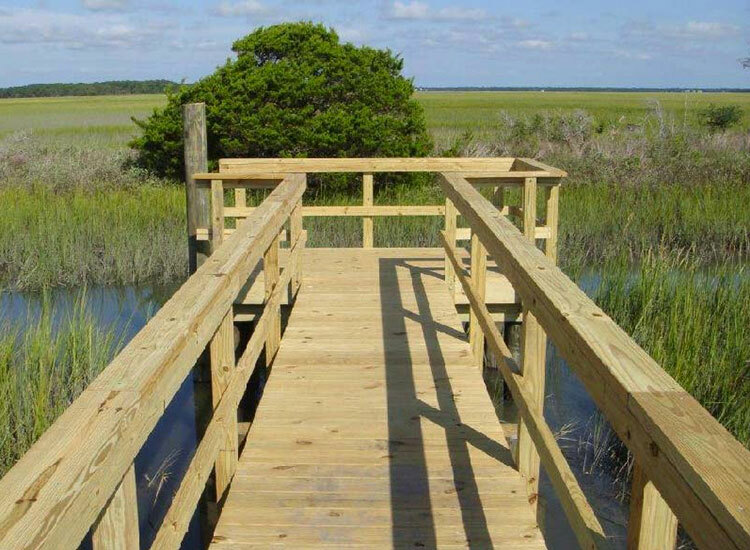 American Dock & Marine Construction, Inc. offers a wide range of dock configurations, from the smallest of crabbing docks to the largest permitted structures. 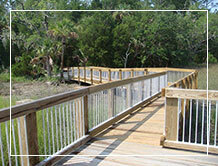 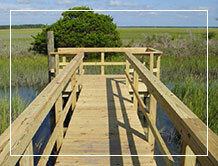 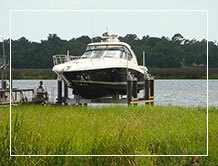 The loss of high ground in the Low Country can be costly and detrimental to the environment, and the loss of an asset. 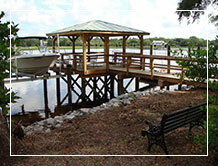 Bulkheads and retaining walls are some of the methods used in a variety of situations. 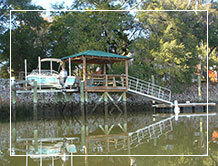 We have been the exclusive Charleston representative of HI-TIDE Boatlifts since 1992. 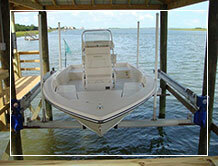 HI-TIDE offers a wide range of lifts and davits for personal watercraft to large commercial lifts rated at 180,000 lbs. 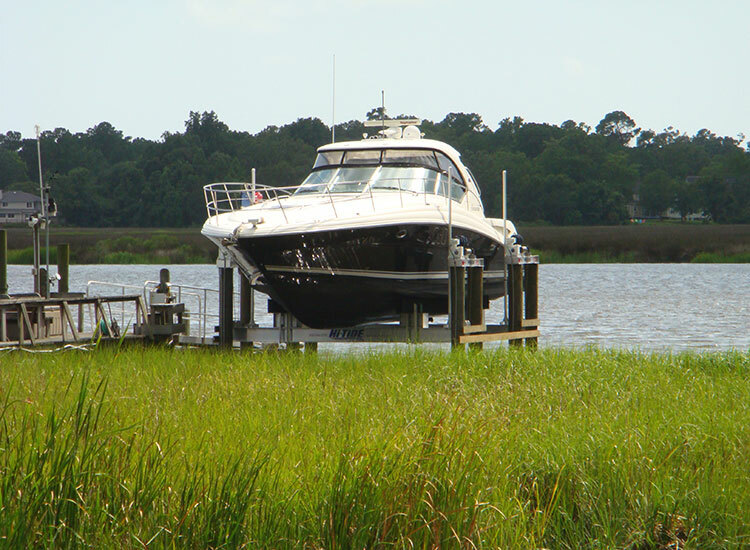 lifting capacity. 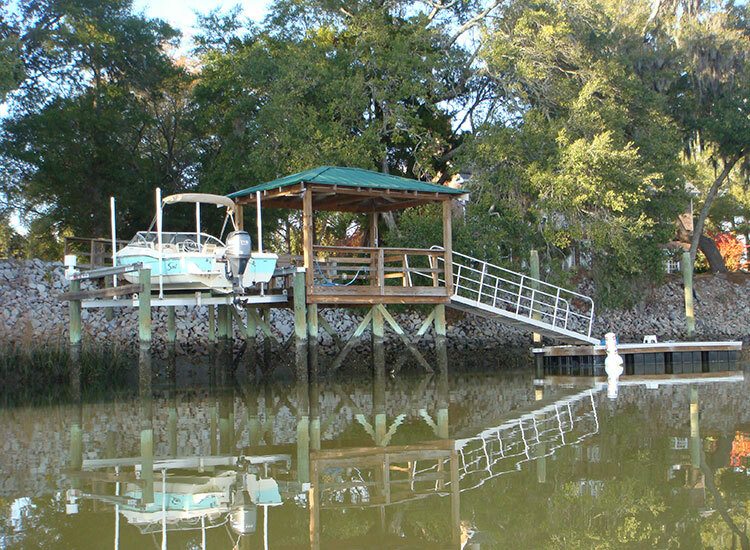 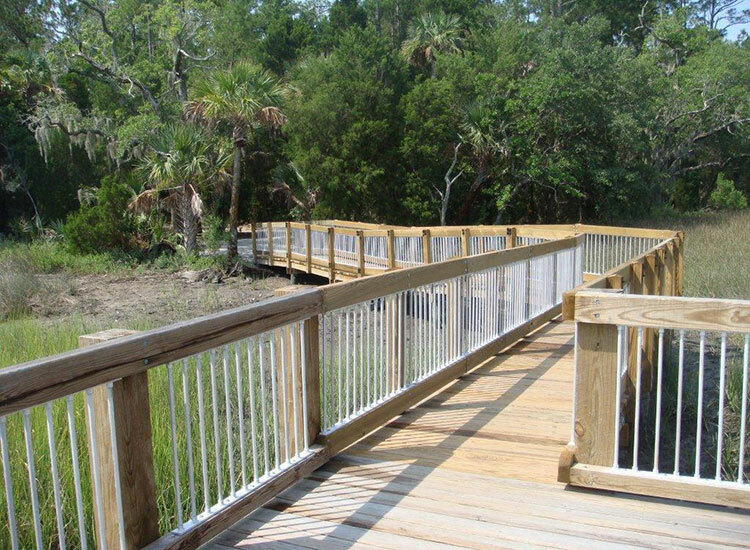 From custom designed gates, aluminum ramps, cable handrails to full fledged fish cleaning stations, at American Dock we offer all the dock accessories and extras that you could want.